Sooner or later, the Fantasy Premier League conversation always seems to come back to Sergio Aguero. Four goals on the way to 21 points against Leicester saw thousands of managers rack up 100-point Gameweeks, leaving non-owners crying behind their couches. Even those who owned the Argentine, but instead opted to captain the likes of Mo Salah (LIV, 10.4), felt the impact. Ironically, those looking to make up lost ground by bringing him back now could be missing out on a big opportunity. You can hear me explain this, and more, on the latest 3 Amigos podcast. Now that the first big Blank Gameweek is almost upon is, attention in the FPL community has turned to how best to use our remaining chips. 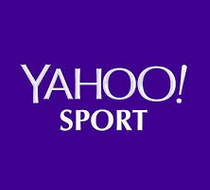 Want to write about football? Gameweek 27 is almost upon us - and it can’t come soon enough for most Fantasy Premier League managers. The previous Gameweek began in fairly surreal fashion when, just before deadline, Phil Jones’ sister inadvertently broke the news that the popular defender wouldn't be playing. It all went downhill from there, as other well-owned players frustrated their FPL owners. Sterling missed a sitter, Pogba was benched and both Kane and Aguero were captaincy fails. Managers looking for some much-needed Monday redemption from Alonso saw him rested, and were forced to call on the dregs from their bench. Fielding 10 or even fewer players was not uncommon. The rage transfers came thick and fast, but for those still looking to make a move, some careful planning could go a long way. 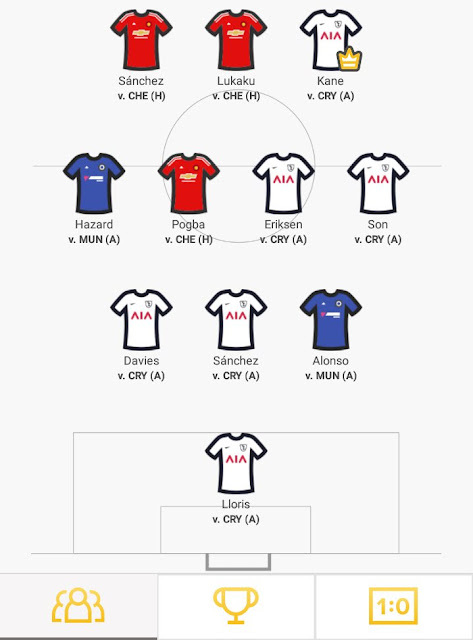 If you’d like to get involved this week by challenging us, simply create your lineups for Gameweek 27 today via the FREE Apple app. Still Aguero-less over on Fantasy Premier League due to budget restrictions? Well last week you survived against a solid Burnley performance, but are you willing to run the risk again vs Leicester City? Fortunately, there are no pricing issues on Starting 11. It makes sense to put Aguero straight into your line-up for the Saturday evening kick off against Claud Puel’s men. Since Mahrez went AWOL after transfer deadline day, Leicester have failed to win either of their following two games. This could be the ideal time for Manchester City to play them. Something still isn’t quite right at Stoke. They have shown some promise over the last four games but despite that, they are still prone to leaking goals. On Saturday, Stoke host Brighton, who come to town with striker Glenn Murray on form with 2 goals in his previous 2 games. He has form, he has the fixture. In my opinion he is a great shout for a differential this week. Henrikh Mkhitaryan is a confidence player. He set a positive benchmark with 3 assists on his first start for Arsenal. He's now with a manager that will look to leverage his talent rather than using him as a utility player. Mkhitaryan should be pumped up ahead of the trip to Spurs. Since Toby Alderweireld’s injury after Gameweek 10, Spurs' defence has looked hit and miss this season and always liable to conceding a goal. I am expecting goals from both sides on Saturday and for Mkhitaryan to be heavily involved again for Arsenal. Doucoure continues to surprise me and is arguably an FPL enabler now due to his 7 goals and 3 assists this season. On Starting 11, he has always been a valuable asset due to the points he gains for passes and interceptions. Add his attacking returns to the mix and you have yourself a midfield differential many other managers will simply not consider. This week he takes on a poor West Ham side and will be looking to add to his two assists that he provided during Watford’s 4-1 win over Chelsea on Monday night. Jose Mourinho made some drastic changes to his line-up following the disappointing 2-0 defeat to Spurs. One man who did keep his place was defender Chris Smalling, who went on to record a clean sheet against Huddersfield. The stand out opportunity for a clean sheet this weekend in my opinion comes from Manchester United, who boast the best defensive record in the league and have 5 clean sheets from their last 6 games. Newcastle are without a win from their last 4 games and are now only 1 point above the relegation zone. Bournemouth may be short on clean sheets this season, however of late they have come into form and are playing with confidence - highlighted by the 3-0 victory over Ake’s former club Chelsea in Gameweek 25. This week the Cherries travel to Huddersfield who, after a 5 game losing run, now currently reside within the relegation zone. Having only scored 1 goal during those 5 league defeats, I think Ake’s clean sheet points will be safe on Sunday. As I mentioned earlier, Leicester are struggling. Firstly with Mahrez missing from the match day squad and also due to the discontent this will have inevitable caused. Jamie Vardy is doing his best to carry his side. However, if Manchester City, with the return of Vincent Kompany, can keep Vardy quiet on Saturday then Ederson will notch up clean sheet number 12 for the season. 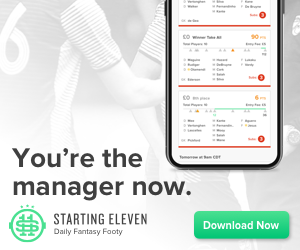 Despite conceding a goal in each of his last two games, Nick Pope continues to reward fantasy bosses with his numerous saves, which includes stopping one penalty. He is the fantasy gift that keeps on giving. With Tom Heaton closing in on match fitness, he will be motivated to stay in the starting 11 and try to earn a seat on that plane to Russia this summer. Swansea themselves have secured impressive victories over Liverpool and Arsenal, but with Burnley sitting deeper can the Swans break them down? Manchester City may have had an off week against Burnley, but can you ever bet against Sergio Aguero? For those of you who still don’t own Aguero on Fantasy Premier League, at least you have an opportunity have slide him into your Starting 11 team and give him the armband against Leicester. Maybe you won’t need to hide behind that sofa after all? With Mahrez still missing from training this week, it’s highly unlikely he will feature again this weekend, meaning that the instability may continue to affect Leicester on the field. Manchester City know Leicester are in a bad place, Manchester City were the club to cause this unrest with their deadline day approach. Can Aguero take advantage? I think he can. There were several issues discussed amongst the Fantasy Premier League community this week including how to best plan for the upcoming blank and double gameweeks. 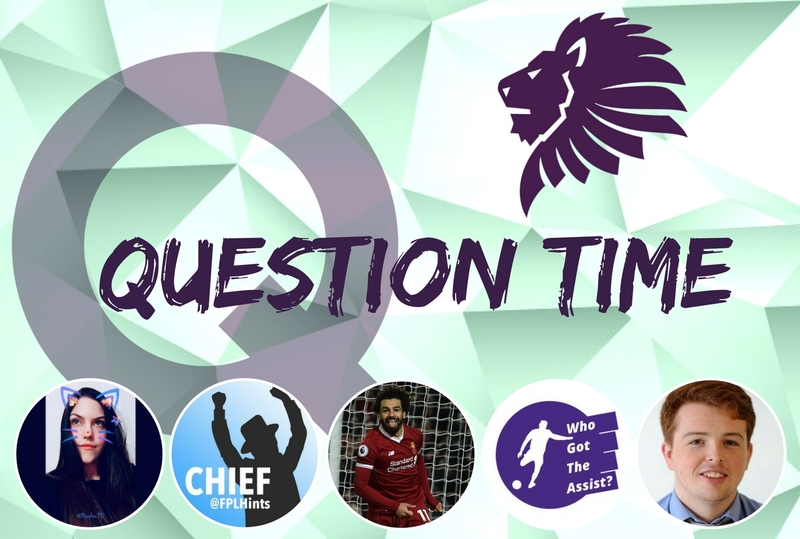 That topic dominated Herald FPL's first ever Question Time feature, with some of the game's top managers coming together to tackle the big talking points. FPL Chief, Who Got the Assist?, FPL Nymfria and David Munday were all on hand to answer questions. With specific reference to future BGW/DGWs, when to play your chips and how to preserve your Wildcard were two big questions. Which Arsenal attackers are the best ones to sign and whether or not we should be selling our Chelsea assets also came up. 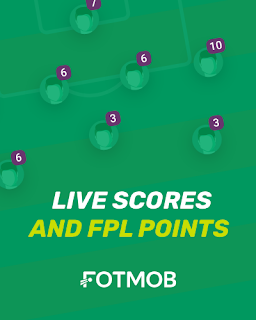 If you’d like to get involved this week by challenging us, simply create your lineups for Gameweek 26 today via the FREE Apple or Android apps. Aguero finally regained a regular place in Manchester City's starting 11 and look what happened - he has now scored 5 goals in his last 4 league games. He left it late on Wednesday night but in the end those managers on Fantasy Premier League and Starting 11 who captained the Argentine were rewarded. This weekend a trip to Burnley awaits. Manchester City beat them 4-1 a month ago in the FA Cup, Aguero scored twice in that game. Will lightning strike twice? Mahrez may have struggled to find a way out of Leicester City during the January transfer window, but the man who pledged his allegiance to the Foxes and continues to find the back of the net is Jamie Vardy. This week’s visitors to the King Power Stadium are Swansea who despite coming into the game off the back of wins’ against Arsenal and Liverpool, have terrible away form. Vardy has 2 goals in his last 2 games, taking him to 11 for the season. Can he continue his goal scoring form on Saturday? The France international was taken off by Mourinho on Wednesday night after a poor performance by him and his teammates. Paul Pogba is a confident man and I fully expect to see a reaction on Saturday against a poor Huddersfield side. He will definitely be allowed to roam free and cause havoc to their defence. On Saturday, expect a return of Pogba’s powerful breaks forward. When Pogba explodes, Manchester United explode. You almost have to feel sorry for Huddersfield. Ward-Prowse has surprised me lately. Firstly, with 2 goals against Watford then following this up with a brilliant display during the 1-1 draw with Tottenham Hotspur. This was followed by his display on Wednesday night against Brighton, by providing an assist from a free kick. On Saturday Southampton host West Brom, who have only won one league game since August. What on earth has happened to Nacho Monreal? He seems to have evolved into Marcos Alonso! Since returning from injury, the Arsenal defender has scored 2 goals and provided 2 assists in just 123 minutes of football. Now I can’t say Monreal is a safe pick for a clean sheet - Arsenal have conceded 6 goals during their last 3 league games. However this is something Wenger will be keen to address. If Monreal can continue his attacking returns and somehow add clean sheets, he will soon find himself become a must-have pick in all fantasy football formats. Bournemouth have hit a bit of form and if they can keep a clean sheet against Chelsea at Stamford Bridge then they are a decent shout for a clean sheet at home to Stoke City. Even Ake scored a goal on Wednesday night. Stoke have failed to score in 4 of their last 5 league games, in fact the only game they did score was against a struggling Huddersfield side. I expect a Bournemouth clean sheet this weekend. Manchester City kept their 11th clean sheet of the season on Wednesday and now boast the best defensive record of the season along with Manchester United. Bolstered by new £57m signing Laporte at the heart of his defence, Ederson is well protected, especially when Manchester City also ensure they have the lion’s share of possession. Burnley have only managed to score 2 goals during their last 5 league games so I do not expect Ederson to have much work to do on Saturday. Stoke may have struggled to find the net themselves but what they have done in return is keep their opponents out. They boast 2 clean sheets from their last 2 league games. Butland himself has been in good form the last few weeks and was it not for an injury ridden defence, he could have had more clean sheets to his name. He has form and pedigree on his side - this week’s captain is Sergio Aguero. There's speculation that Jesus won’t be back until March, which means the Argentine will continue to have a free run at the first team. If only Aguero had been given more starting opportunities he would certainly be challenging for this season’s Golden Boot. The week in Fantasy Premier League: Transfer window players - worth a punt or wait and see? There wasn't too much in the midweek games to get Fantasy Premier League managers excited - all the best action was off the field. What turned out to be one of the most active January transfer windows ever left an changed FPL landscape in its wake, not least for the 13.7% who owned the in-form Riyad Mahrez (LEI, 8.7). Managers who wisely saved their free transfer are now poised to reap the benefits - but with players still finding their feet at new clubs, some patience yet may be required. The lower the price, the less risk involved, so with that in mind, let's take a look at some of the standout prospects that have emerged this week. It's 1996. Manchester United have sensationally overcome a 12 point deficit in the space of a few months. They are now homing in towards the Premier League title. However, one curious afternoon at The Dell almost scuppered their hopes.